The bubble shooter version of the popular movie Frozen! Help Elsa and Anna to match 3 colors of bubbles in this Frozen Elsa bubble shooter game. You advance to next level when you have enough points. Can you make it to the high score in this Disney game? Move the aim help with your mouse and left click to shoot the bubble. 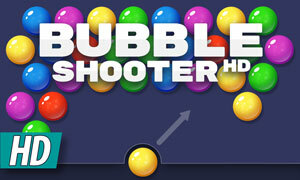 On mobile or tablet: Aim the shooter by holding your screen and release to shoot the bubble.